Antisocial Personality Disorder is characterized by a pervasive pattern of disregard for, or violation of, the rights of others. – boarding high schools and therapeutic boarding schools. Does your son struggle with Antisocial Personality Disorder (ASPD), which is defined (by the American Psychiatric Association) as “a pervasive pattern of disregard for, and violation of, the rights of others?” A chronic mental condition, in which he might display signs of dysfunctional thinking and relating to others, he might treat others with absolute indifference to their feelings, is manipulative and deceitful, possibly breaking the law, and admitting no feelings of remorse. Symptoms include failure to conform, rash conduct, irritability, touchiness, disregard for his safety (and that of others), and a pattern of negligent behavior and lack of repentance. These can all be signs of Antisocial Personality Disorder, and Prayer Mountain can provide a safe haven for your teen as he struggles to overcome this serious problem. ASPD traits are complex to recognize. There is not a universally agreed upon successful treatment for this disorder but there might be success in ones that show the damaging consequence of illegal and unacceptable behavior. There are studies that show contingency management or reward systems to be beneficial in steering behavior to a more satisfactory norm (not to be confused with normal, parental attempts at punishment and reward). 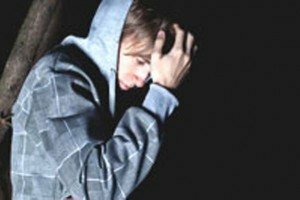 While a difficult disorder to treat, your boy will need long-term treatment for ASPD, as well as for any related conditions, such as depression, substance abuse and anxiety. It is essential to have ASPD correctly diagnosed and treated, so he doesn’t suffer possible, life-altering consequences, such as alcohol or substance abuse, risky and reckless behaviors, even repetitious law-breaking leading to imprisonment. You don’t want ASPD to control his life! Our 15-month, bible-based, therapeutic curriculum is designed in such a way as to emphasize introspective thinking along with our Christian counseling. Tailored for the individual student, the work requires our students to scrutinize areas of their lives in need of change. We can also help you in your search for other alternative schools, Christian boarding schools, alternative boarding schools, therapeutic schools, or therapeutic schools. This is a Teen Challenge boys ranch and boarding school program dedicated to helping troubled boys get a new start in life. Our boys ranch is a therapeutic program that offers hope and an opportunity for a new and more productive future for at-risk boys. Teen Challenge therapeutic boarding school and ranch providing behavioral therapy for troubled teenage boys. Antisocial Personality Disorder is characterized by a pervasive pattern of disregard for, or violation of, the rights of others.